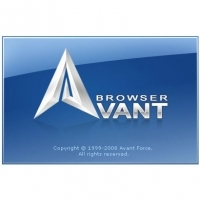 Avant Browser is one extremely efficient and feature-rich browser, which can easily import your Internet Explorer setting, and is very easy to use. Its user-friendly interface brings a new level of clarity and efficiency to your browsing experience, and frequent upgrades have steadily improved its reliability. Avant Browser allows users to browse multiple Web sites simultaneously and block all unwanted pop-up pages and FLASH ads automatically. The integrated cleaner helps user to clear all traces and keep privacy. Built-in Google search engine enables user to search for web pages, images, groups, directory, lyrics, software and news in the Internet. Avant Browser provides options to block download of Flashes, pictures, videos, sounds, and ActiveX components. With these options users can efficiently use their bandwidth and speed up page loading. All opened pages can be easily stopped, refreshed, closed, or arranged with one click.